Tenshi will away for part of October. Please expect some disruption to usual response and shipping times. Please see details below. 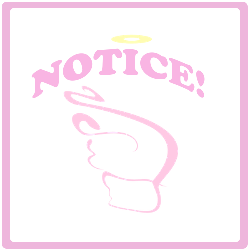 Tenshi will be unable to ship any packages between October 11th-23rd. Those trying to get items in time for Halloween events, please keep this in mind. Tenshi may not be able to respond in the usual 24-48 hour time frame from October 11th-21st. During this period, Tenshi will only have a few hours each day to review requests, answer them, and shop. If you are in a rush for a response or concerned your item may sell out, Tenshi may not be able to help you. Those requesting shopping on Mercari, Rakuma(FRIL), Otamart, and MBOK from October 4th-20th understand they forfeit the buyer protection these platforms usually offer. These apps/auction sites usually hold the money from a transaction from the seller until the buyer “confirms receipt” of the item. However, it is considered very bad manners to delay the “confirmation” by any more than a day after delivery. I must “confirm receipt” and release the money to seller although I cannot personally check items that arrive while I am away. The risk is that an item may not have actually arrived, is the wrong item, is an empty package, or is otherwise completely mis-described. There will be no way to dispute the transaction. You may request (usually for an extra fee) that the seller uses tracked shipping so the package’s movement within Japan can be monitored. It is recommend that you request tracked shipping if you choose to do app or auction shopping during the travel period. Yahoo does not offer buyer protection, so the risk is the same as any other time, but it is still recommended that you use traced shipping for Yahoo Auctions. If requesting shopping between Oct. 4th-23rd, please mention in your request form that you understand your order may be affected by the risks and delays outlined in this announcement. Thank you for your understanding and patience. Wishing everyone a happy and spooky Halloween season!